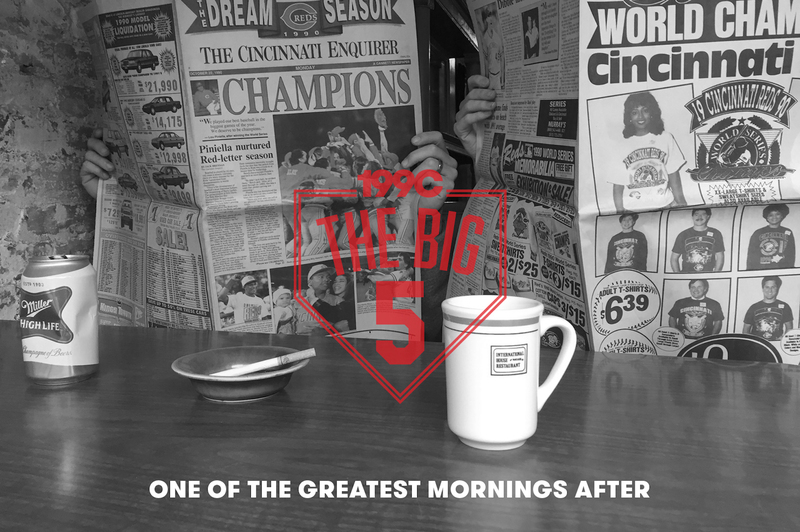 Inside the gallery of BLDG, 199C: The Big 5 celebrates this landmark anniversary by showcasing all things inspired by Reds Country and the number 5. The number 5 represents many things and carries meaning on multiple levels. For some, it marks a major milestone or serves as a symbol of good fortune. Others will immediately picture the legendary Johnny “Little General” Bench. There’s also the five senses, the 5-way, the high five, the five-second rule and Jackson 5 just to name a few (or five). There’s so much more in store with this exhibition that aims to capture and highlight the inspiration The Big #5 brings to us all. Outside our nonprofit partners at Renaissance Covington have organized an incredible array of experiences to engage the community, welcome residents and visitors and to make all those baseball enthusiasts cheer for more. On Pike Street, visitors will have the opportunity to share their first memories about the Reds in our Reds High 5 booth, participate in a chalk drawing competition, vote on their favorite baseball-themed storefront installation, and drink and eat from local breweries, distilleries and eateries.